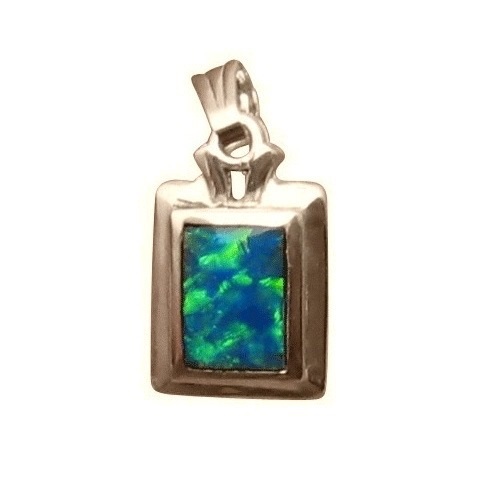 An Opal pendant in 925 Sterling Silver with a rectangle Green and Blue Opal. The photos of this pendant do not do it any justice but it is shiny and beautiful. 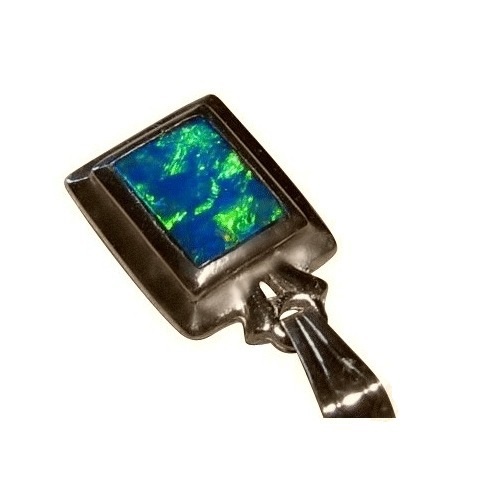 It is a rectangle pendant made in 925 Sterling Silver and has a thick border, like a photo frame, with the center inlaid with a very bright Green and Blue Opal. 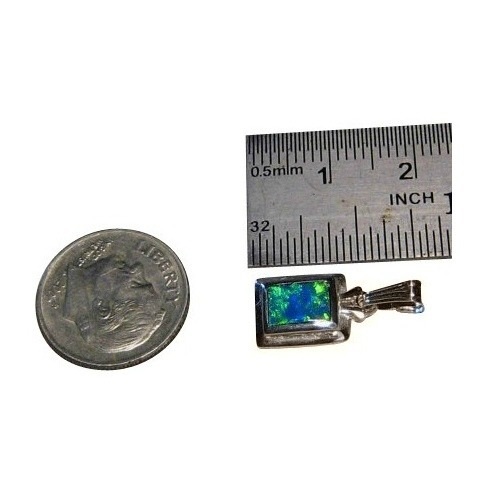 This style of pendant could be worn by men as well as women and the colors in the Opal work well the gleam of Silver. The Opal pendant in the images has been sold however you can have a similar one Made to Order which will take about 7 days before photos are provided for your approval to ship. If you would prefer an Opal with Red in it, contact through this page for assistance.